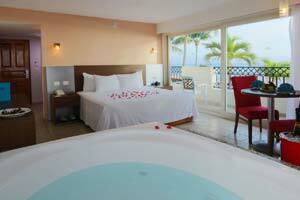 Crown Paradise Club Puerto Vallarta has 252 rooms, offering standard, family and honeymoon suites with jacuzzi. 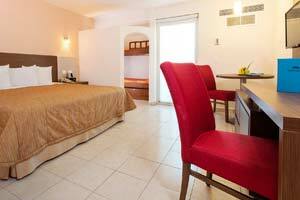 All offer garden, pool or ocean view and include all the amenities you need to enjoy comfortable vacations. 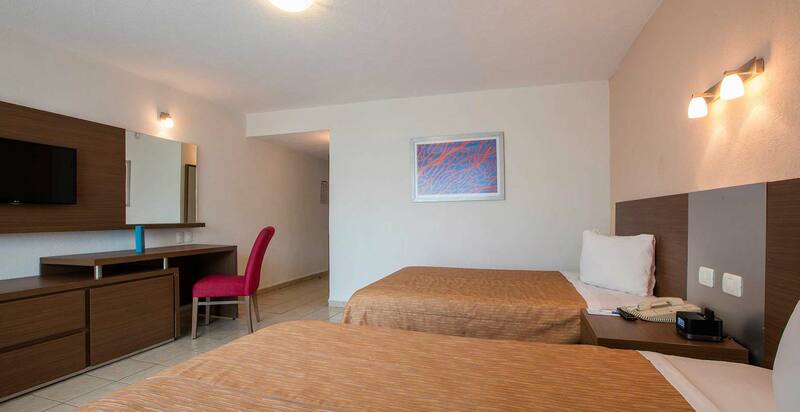 Crown Paradise Club Puerto Vallarta also offers a Hospitality Room for guests who arrive before check-in time and those who have late departures. 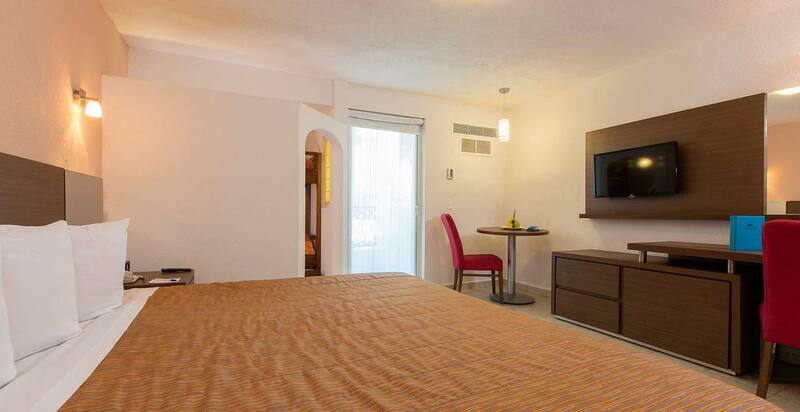 It has comfortable armchairs, air-conditioning and bathrooms with showers for your rest and relaxation. 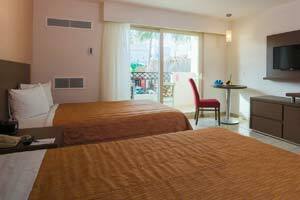 Spacious garden or pool view room all with 2 doubles beds, private balcony, air conditioning, cable color 32” flat screen TV. 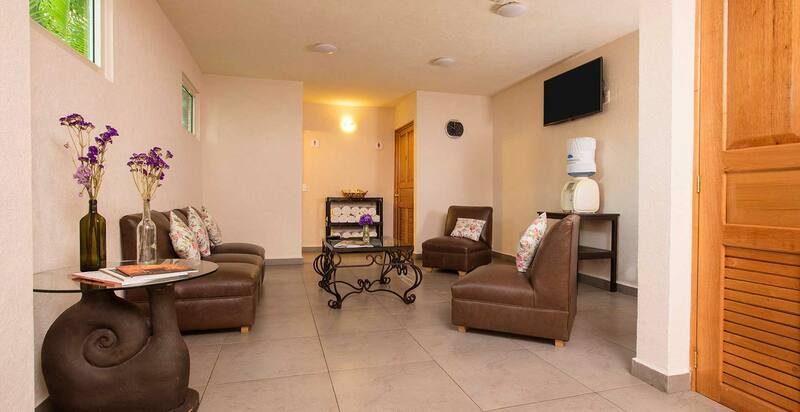 With remote control, digital safety deposit box, Minibar in the rooms with soft drinks, beer and water, daily stocked coffee maker (on request), telephone, iPod dock with alarm, clothing ironing & ironing board, bathroom with shower, hairdryer, and vanity mirror. Please note that king size bed are not available in standard rooms. Spacious beautifully appointed room, with mountain view, a small balcony, one king-sized bed, air conditioning, 32” flat screen cable color T.V. 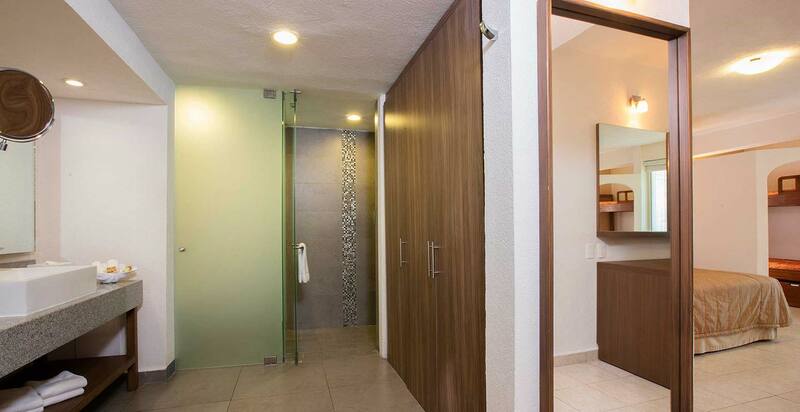 with remote control, digital safety deposit box, Minibar in the rooms with soft drinks, beer and water, daily stocked, coffee maker (on request), telephone, iPod dock with alarm, clothing iron, & iron board, full bath with shower, hairdryer, and vanity mirror. 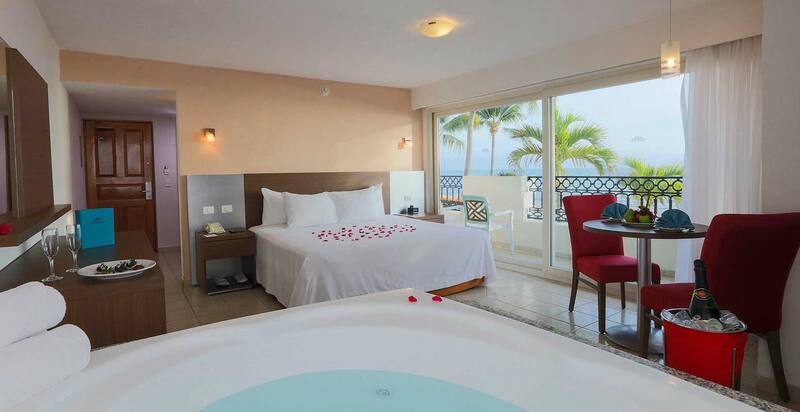 Our suites are outstanding thanks to their spectacular ocean views, large jacuzzis and king size beds.